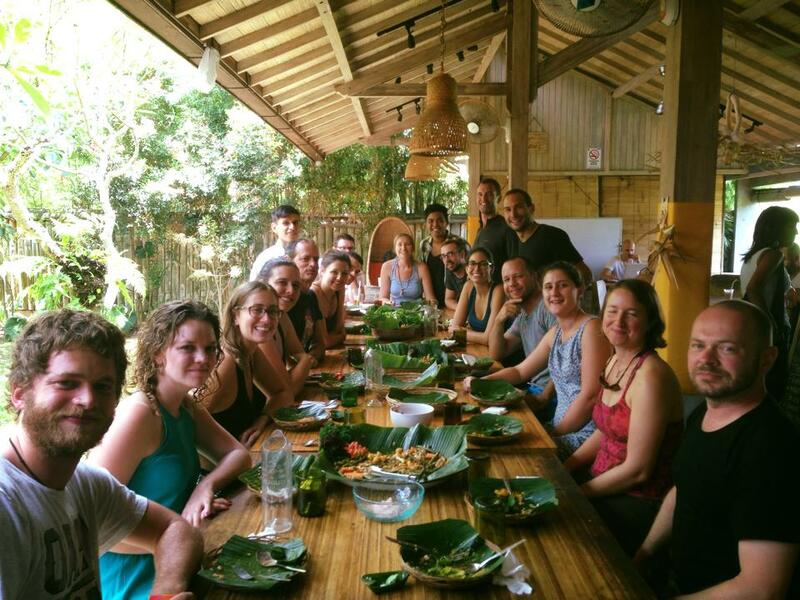 Recently, I spent about a month in Ubud, Bali, Indonesia, famous for its art, meditation, yoga and spiritual places. My primary mission here was to work in the beautiful co-working place Hubud, which is a place where 30-40 people from all over the world are working on their projects and businesses. Since I love new experiences I also joined a drumming class where I noticed how thinking affects my drumming. The teacher told me that if I start thinking, I should stop drumming immediately until I FEEL the rhythm again. "Stop thinking," resonated inside me. It was harder than I thought, even though I have some experience with music. One day after the drumming lessons I met an older guy from Mexico called Fernando, who mentioned that he is on his way to a chanting gathering in a small cave (chanting means singing long "oooooohhmmmmmmm"). I’ve never tried chanting before so I asked him if it were possible that I join him. He said, "Yes, of course," even though I felt that he was a little bit unsure about it - most likely because people who cannot relax enough can easily destroy the beauty of such events. In the cave, there were just 6 of us. I was a little bit afraid that I would start laughing because that was probably one of my weirdest experiments so far, but when we started I immediately loved how our voices resonated in small cave. The woman who was leading the gathering later explained that chanting is one of the easiest ways to focus on our inner feelings and stop wondering with our minds - stop thinking. She said that when you stop thinking, you achieve peace of mind. When you are at peace, you are ready to listen to your inner self and other human beings as well. In the following month I tried many meditations and yoga classes and I loved the way I felt afterwards. It was magical, like I was watching the world from another dimension. I realised that we Western people are constantly under at least some pressure which means we are not at peace at all. Either through the salary at our job or better grades at school, we are encouraged to think, worry and work more, however we still don't feel happy and fulfilled. It is like the West is trying to persuade us to think more and strive towards complexity, unlike the East, which is teaching us to think less and enjoy the beauty of simplicity. Our minds are so full of thoughts, obligations, worries and stress that we are rarely in a peaceful state in which we are capable of building the best relationships with people and get the best out of ourselves. I am grateful to Bali, all the people and the whole universe for giving me such a beautiful lesson in such a magical way.